Cutting it down to one picture is a challenge when you have pets as gorgeous as mine. I gave up going through my archive and took a new pic instead. Happy Wednesday from the baby in the house, Aggy. 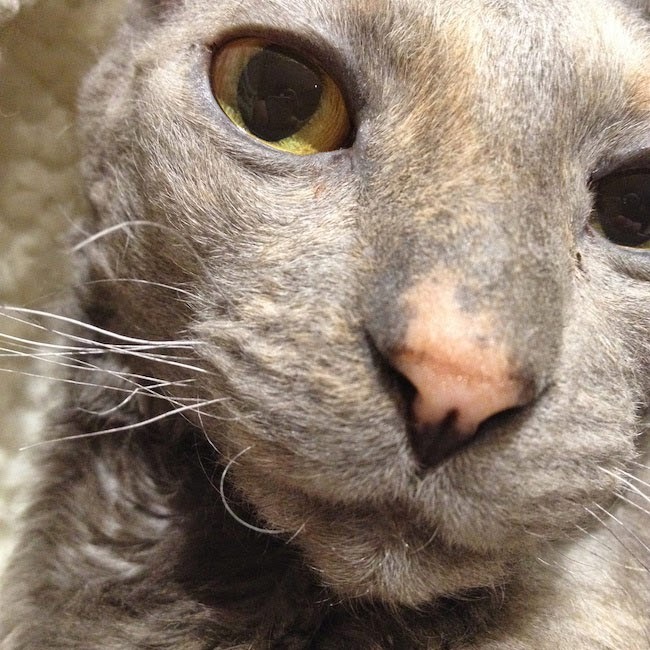 Aggy is a blue, tortie, smoke, curly coated Cornish Rex. The very best cat breed, ever. 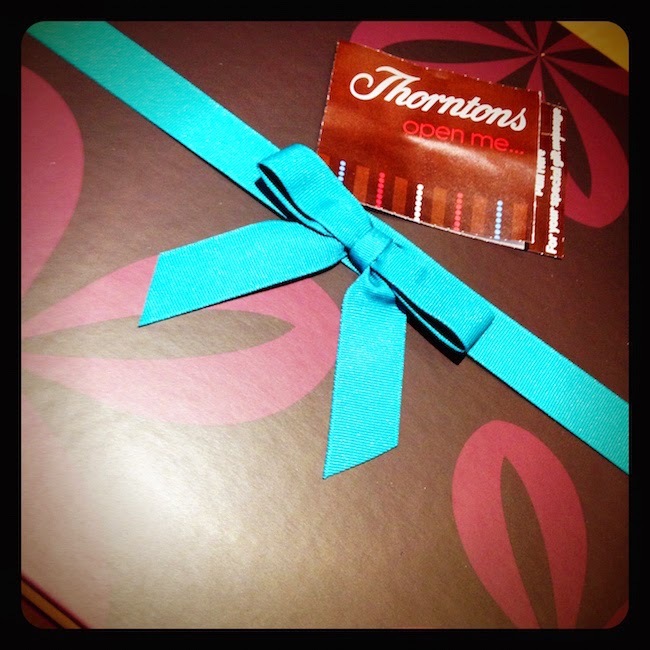 I don't do many reviews here on my blog but when I was offered a Thorntons Chocolate Hamper I knew my kids would disown me if I said no. They have loads of different hampers to suit different budgets, I opted for Tasty Chocolate Treats! Beautifully packaged and bursting with enough goodies for the whole family to share, the Tasty Chocolate Treats Hamper is a choc lovers dream. 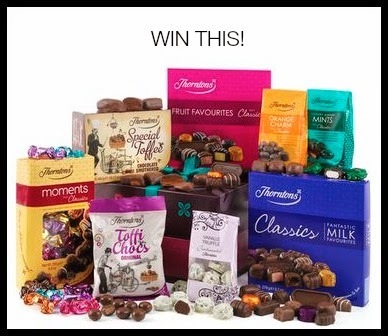 The Thorntons Tasty Chocolate Treats Hamper is £59.99 and contains Continental Milk, White & Dark Collection (150g) x2, Assorted Special Toffee Bag (325g), Classics Milk Signature (276g), Classics Fruits Collection (143g), Classics Caramels (146g), Continental Chocolat Riche Bag (93g), Continental Vanille Truffle Bag (103g), Classics Milk, White & Dark Bag (106g), Classics Turkish Delight Bag (101g), Classics Mint Bag (80g), Continental Alpini Bar, Continental Viennese Bar and a Continental Lemon Bar. Now you can win chocolate too! 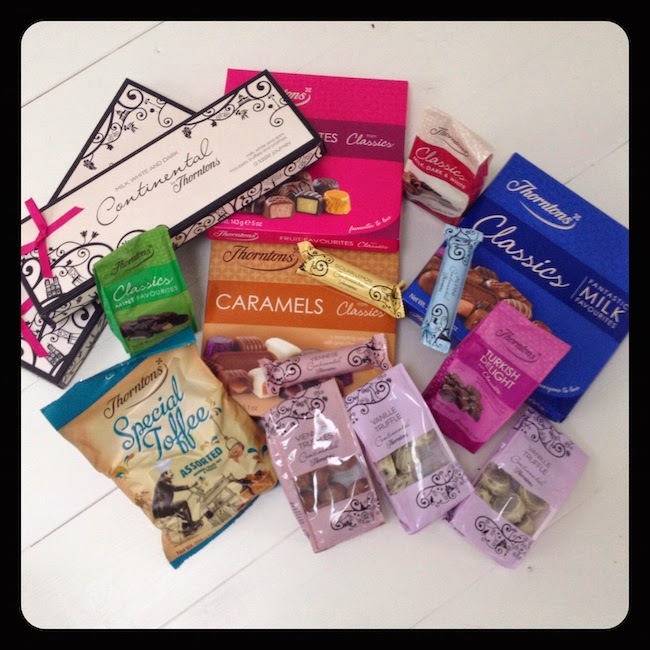 I have this fabulous Thorntons Chocolate Heaven Hamper worth £29.99 to giveaway to one of my readers. Please enter using the Rafflecopter widget below. 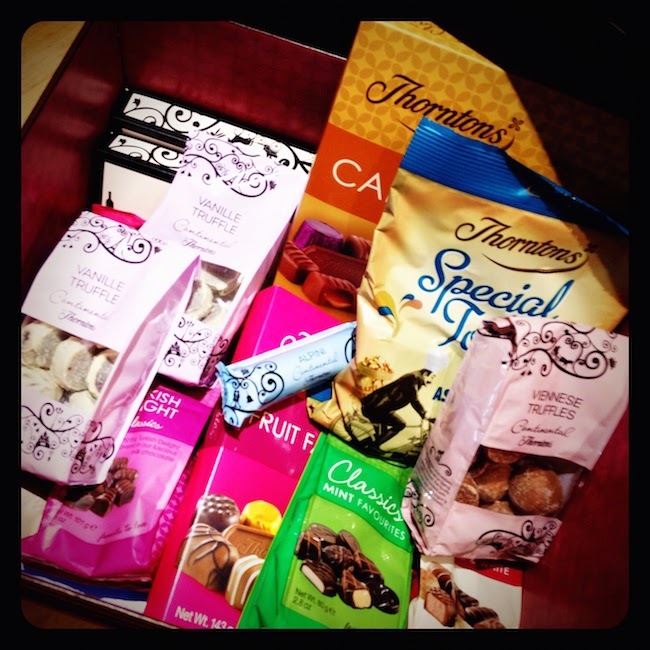 I was given the Thorntons Tasy Chocolate Treats Hamper to review. We ate it all and it was wonderful.